The object of the game is to save the world from an evil emperor by defeating enemies throughout progressing levels in order to reach and defeat him. The game supports two player cooperative play. 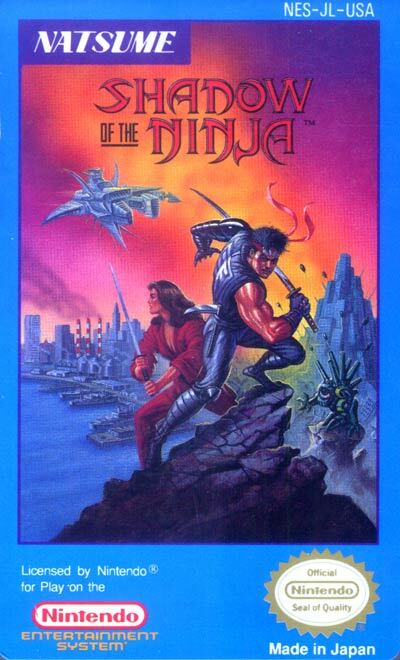 The player can select one of two ninjas: male (a blue ninja named Hayate) and female (a red ninja named Kaede). Each ninja can run, attack, jump, duck, and hang from railings. Both ninjas start out with a short sword, but there are "weapon-pods" in each level that can be broken to obtain new weapons. Powerups to the sword are available, as well as health powerups. The player's health bar decreases when falling in a pit or getting hit by an enemy's attack. If a player loses all of their health, he or she will have five chances to continue. However, in two-player cooperative mode, the continues are shared between the two players. This game is known as 'Kage' in Japan, and was also released in Europe under the name 'Blue Shadow'.